So, my baby is two. TWO. We have spent the week celebrating him, with a trip to the zoo yesterday and a sweet little construction themed party today. My littles have had three late nights in a row and I'm wondering what that will mean for tomorrow - I'm planning a lazy Movie Monday afternoon. We seem extra occupied in the summer, maybe because we're outside so much, but the days are seeming extra short recently. Especially with two of my evenings this week taken up with softball. Soaking up every second, of the sun and the boys. Daniel is at the sweetest, chattiest age and every conversation we have makes me smile. Joshua is super independent and overconfident, I am in awe watching him. This chapter of our lives is my favourite yet, and I want to make the most of it. 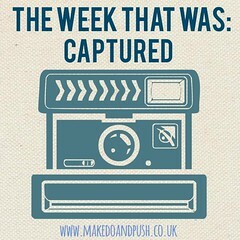 What a lovely week :) It sounds like you're really enjoying family life at the moment :) Gorgeous photos as usual!